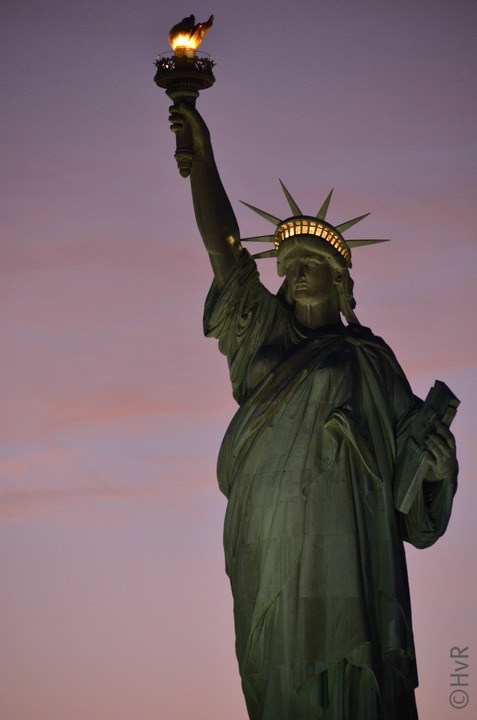 Photo of the day: HAPPY 4TH OF JULY FROM LADY LIBERTY! Photo of the day: HAPPY 4TH OF JULY ! – Today I have the great honor of being one of the first and only few today to be allowed into The Statue of Liberty’s Crown! ! ! I am so excited to experience this today! The last time I was in the crown I was in 3rd or 4th grade! I feel like a child on Christmas day ! This entry was posted on July 4, 2013 by newyorkcityinthewitofaneye. It was filed under DAILY PHOTOS WITH STORIES OF NEW YORK CITY and was tagged with 4th july, 4th of July, Battery Park, crown admission pass, Crown view, Hans Von Rittern, happy 4th of july, harbor view, Liberty Island, Manhattan, New York City, New York photo, Opening day July 4 2013, Photo of the day, Statue of Liberty, Statue of Liberty re-opening. She is just as beautiful as ever! I was there last week and wanted to get in touch with you to see your photos but I had my best friend since childhood and our teenager girls with me. It was all their first time to NYC, so needless to say, it was a whirlwind tour!